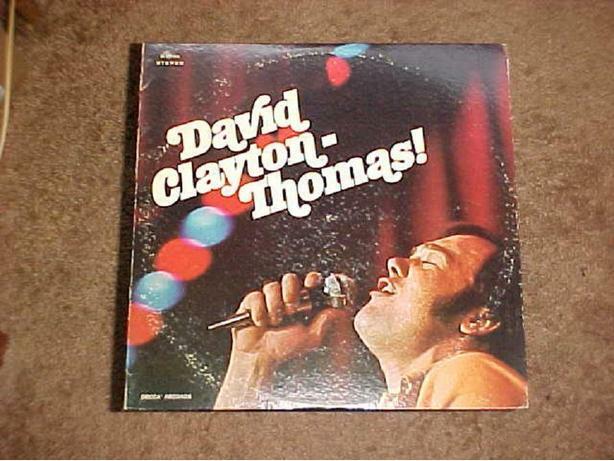 DAVID CLAYTON THOMAS OF BLOOD, SWEAT AND TEARS FAME RECORDED THIS VINYL RECORD. IT WAS RELEASED IN 1969 ON THE DECCA RECORDS LABEL. ITS NUMBER IS DL- 75146. SOME OF THE FEATURED SONGS ARE DONE SOMEBODY WRONG, POISON IVY AND TOBACCO ROAD. THE CONDITION OF THE ALBUM AND SLEAVE ARE BOTH GOOD.